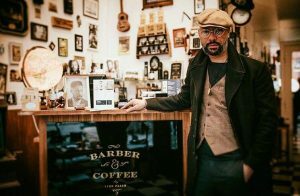 Barbershop and coffee for modern and classic gents in Malmö. At Barber & Coffee it´s possible for you to get a cup of rich coffee and get your haircut later. Offers you a number of options in grooming services, hair services and coffee. You can also get tea, hot chocolate, soda, pastries and cookies here. Barber & Coffee is located at Östergatan 11d, near Caroli City and are a tiny but warm and cozy place that welcomes you as your favorite local barbershop. Malmö Parks – Where to start?